No software download required. Implement Linear, 2D and postal Barcode generation, customization and recognition on various platforms. 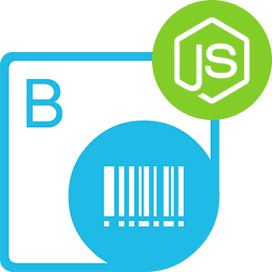 Aspose.BarCode Cloud for cURL is based on REST API for Linear, 2D and postal barcode generation and recognition in the cloud. 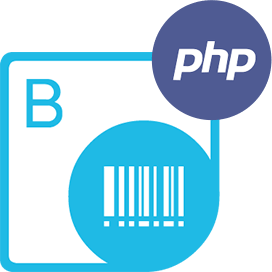 It Recognizes and generates barcode images in a variety of formats and allows to specify barcode image attributes like image width, height, border style and output image format in order to customize the generation process. Developers can also specify the barcode type and text attributes such as text location and font styles in order to suit the application requirements. Aspose.BarCode Cloud for cURL - some of supported languages and platforms. Aspose.BarCode Cloud for cURL works with most common image file formats. An overview of the barcode recognition & generation capabilities of Aspose.BarCode Cloud for cURL. It is easy to get started with Aspose.BarCode Cloud for cURL and there is nothing to install. Simply create an account at Aspose for Cloud and get your application information. Once you have the App SID & key, you are ready to give the Aspose.BarCode Cloud for cURL a try with any language - on any platform. A Barcode is an optical representation of data, which can be read by a machine where it represents information about the item or product it is attached to and helps to quickly read information using a Barcode reader.  The Barcode is represented by parallel lines, geometric patterns or symbols and Aspose.BarCode Cloud for cURL is suitable to Generate Barcode images from scratch and to Recognize any existing Barcodes from images. In fact Aspose.BarCode Cloud for cURL contains all of these characteristics and provides reliable and accurate results both for Barcode generation and recognition features. Barcodes generated by Aspose.BarCode Cloud for cURL can be customized e.g. size, foreground color, background color, specify codetext location, Rotate Barcode with suitable angle, caption (color, location and size) etc. It is ideal for generating barcodes for the most common barcoding application needs. Aspose.BarCode Cloud for cURL can be used with any language or platform which supports HTTP requests and responses. It is completely independent of your operating system, database system or development language. All responses delivered in JSON or XML format and uses HTTP response codes to indicate API errors. You can also use Cloud cURL commands with many third party storage providers including Amazon S3, Google Cloud, Google Drive and DropBox. Why Aspose.BarCode Cloud for cURL ?